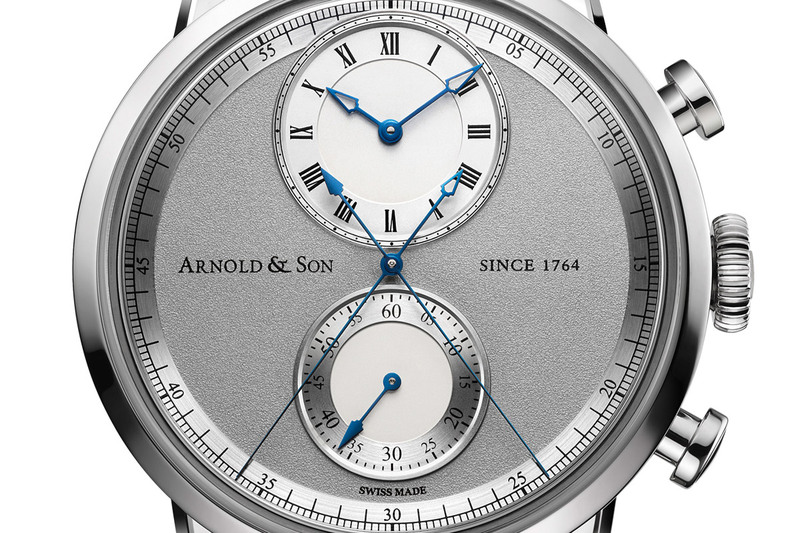 Arnold & Son’s newest, the Instrument CTB, is the world’s first chronograph with ‘True Beat’ complication. So for those of you who, like me, immediately thought of a rattrapante, because of the double second hands, I must disappoint you. 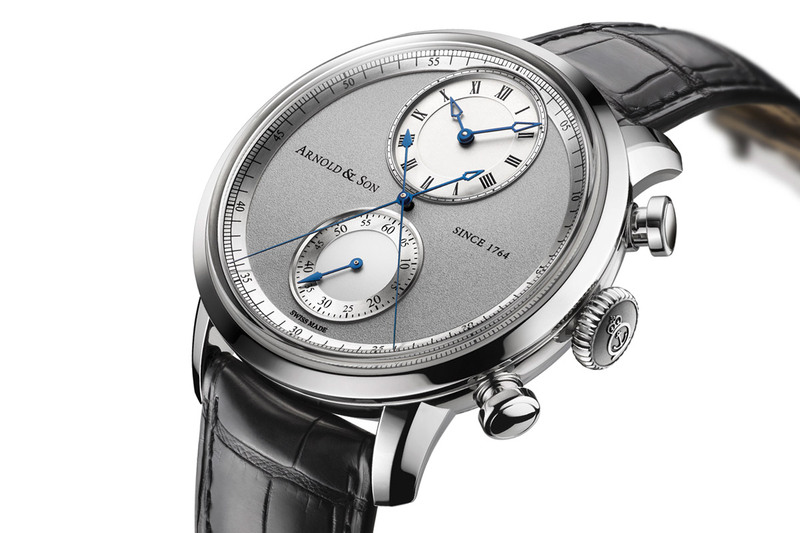 The central True Beat second hand shares the same axis with the central chronograph second hand. That means two central second hands with a different rhythm; that must look mighty interesting! 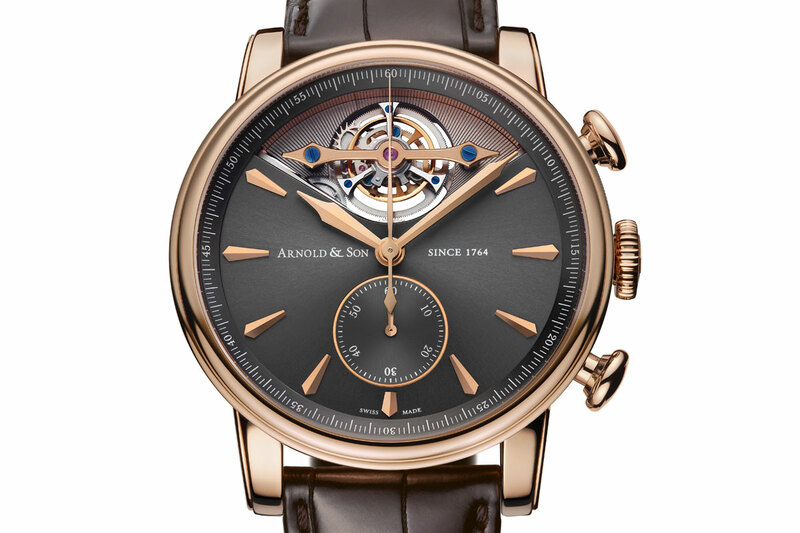 The complication that Arnold & Son call ‘True Beat’ is also referred to as Dead Beat seconds or Seconde Morte, and it means that the second hand ticks like a quartz watch, while it has a mechanical engine. 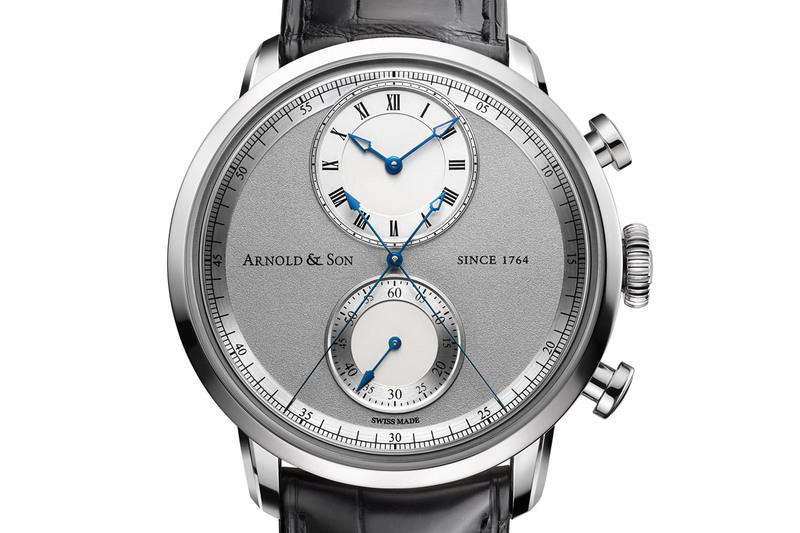 The CTB joins Arnold & Son’s Instrument Collection, features an in-house mechanical movement, and is Arnold & Son’s second chronograph. 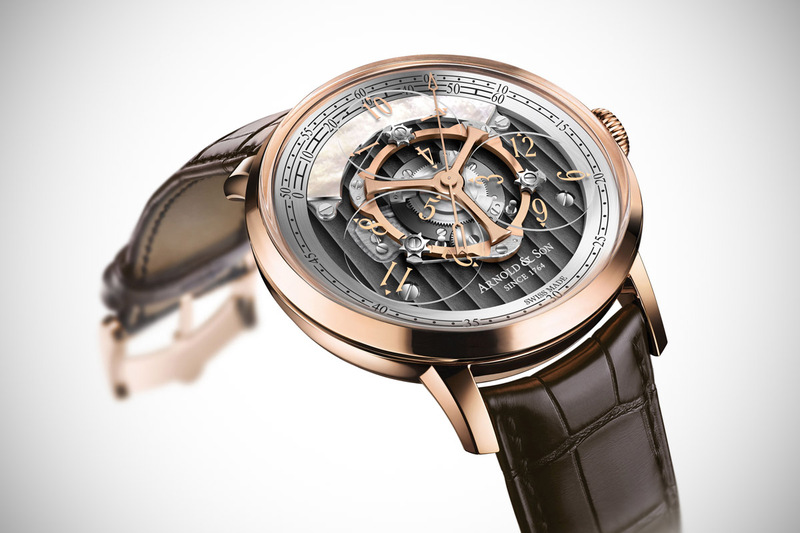 Last month we introduced their first chronograph, which also includes a tourbillon, named the TEC1. Centrally placed is the second hand, which is a true beat second hand. On the same axis is the chronograph second hand, that does the usual 8 ticks per second (the movement runs at a pace of 28,000 vph). Of course, the chronograph second hand will only start after the chronograph is activated. 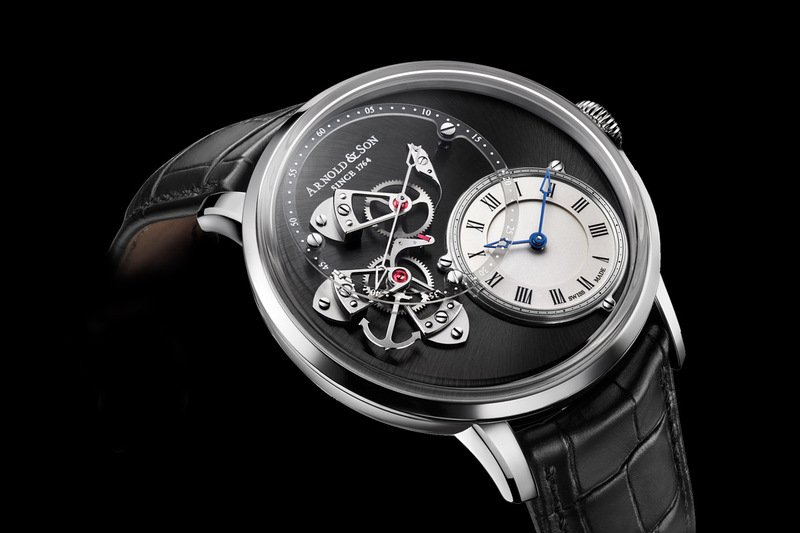 When you think of it, it must look mesmerizing, because the central second hand will give the impression that it can catch up with the true beat seconds hand. However… that will never happen! I’m looking forward to Baselworld and see those two second hands tick in different rhythms, and witness this game of cat and mouse. 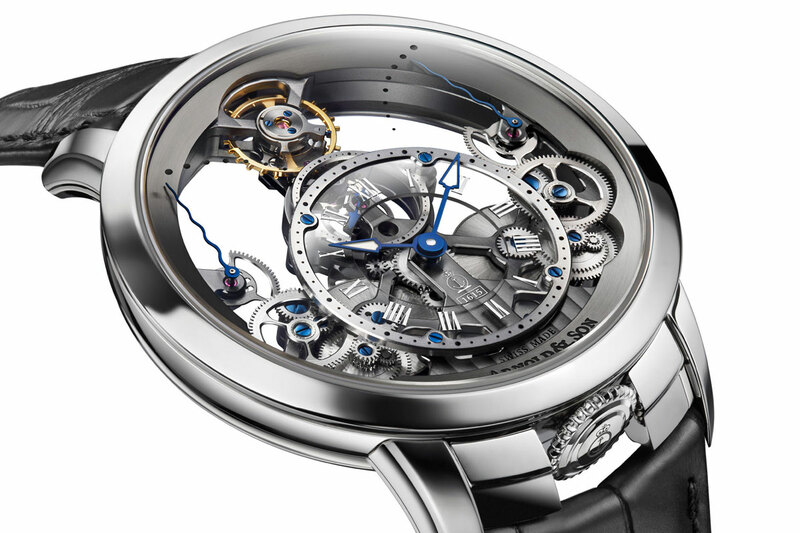 The proprietary movement, with automatic winding, calibre A&S7103 features a column-wheel to operate the chronograph functions. To star, stop and reset to zero, there are the usual two pushers on the right side of the case. The time is indicated on the off center hour and minute dial, while the sub dial at 6 o’clock is the 60-minutes chronograph register.